So Donald Trump is Jewish, his line from Frankfurt, he has more Zionist’s in his cabinet than would be expected from the right. We have Theresa May, unelected, yet running my beloved Isle, Germany being destroyed by Merkel. Funny thing is the elites to which all of the above represent also control Russia, China, India ad infinitum, or should I remind that we do have around four nations in North West Africa not tied to the IMF, but who cares? 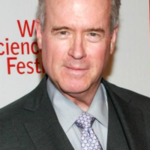 When all seemed to be falling apart for Trump this summer, one shadowy billionaire, Robert Mercer, offered up his own massive political infrastructure, which included Steve Bannon and Kellyanne Conway, and saved Trump’s campaign from demise. Mass immigration is a real problem today, we now know the coudenhove Kalergi plan to genocide Europe, but who is Richard Coudenhove Kalergi? When your friends include Winston Churchill, Bernard Baruch and a host of Rothschilds, you know the plan is all bad. In an effort to win the crown of Britain, Brennius and Belinus waged war between each other to determine who should succeed their father. Many battles were fought between the two brothers until a time came when their friends intervened and a compromise was decided upon. Belinus became the King of the Britons with Brennius as King of Northumberland. 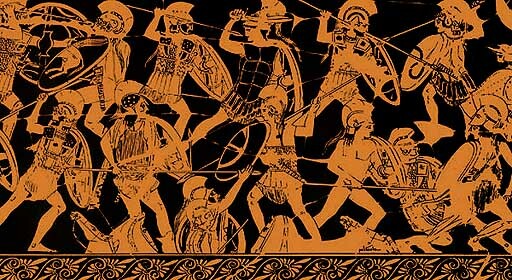 The story is a variation on the light and dark aspect of man the twin duality represented as brothers, yet being the sons of Dunvallo Molmutius. It often strikes a man to enquire what is the chief goal in life; to one the thought comes that it is a happy marriage, to another great wealth, and as each seizes on his idea, for that he more or less works for the rest of his existence. To myself thinking over the same question the wish came to render myself useful to my country. I then asked myself how could I and after reviewing the various methods I have felt that at the present day we are actually limiting our children and perhaps bringing into the world half the human beings we might owing to the lack of country for them to inhabit that if we had retained America there would at this moment be millions more of English living. Assessments of Edward Wakefield boil down to two questions his integrity and intellectual profundity, either way he was a serious colonialist. The driving force in Edward Gibbon Wakefield’s life was his appetite for power and influence. As a child he was brought up under extreme habits of liberty. This lax environment fostered a love and an aptitude for bending the will of others through obstinacy, charm and fast talking. Although admitted to Gray’s Inn in October 1813, Wakefield did not practise law. Instead, in 1814 he became a messenger for William Hill, an employee in the diplomatic service, and travelled extensively on the Continent. From the Frankfurt School would be launched an agenda to subvert European culture through psychological programs thrust upon the populations. One of the thinkers to whom the soul of the Frankfurt School is attributed is a man called György Lukács. He was a Hungarian Marxist philosopher and a philosopher of Leninist strategy but shifted the Marxist method to focus on the cultural attributes. He formed and agitated for the formation of subversive programs to be operated after the success of the military principle of Marxist revolution. What is really behind the banking system? Are we speaking of the hidden narrative in the real nature of King Solomon over his fake persona? In Britain before the Civil War a Templar based theology was being pushed by the Puritans in direct contradiction to the power of Canon Law. More in tune with Jewish tradition the Puritans wanted nothing less than a departure from the restrictive Canons and the ever watchful priesthood of the Catholic tradition. Scotland by this time was already a solid Templar stronghold having pushed the original Christian theology up into the Hebrides, therefore much had been achieved in Scotland as a whole, especially after the mass influx of Belgian families under David I.